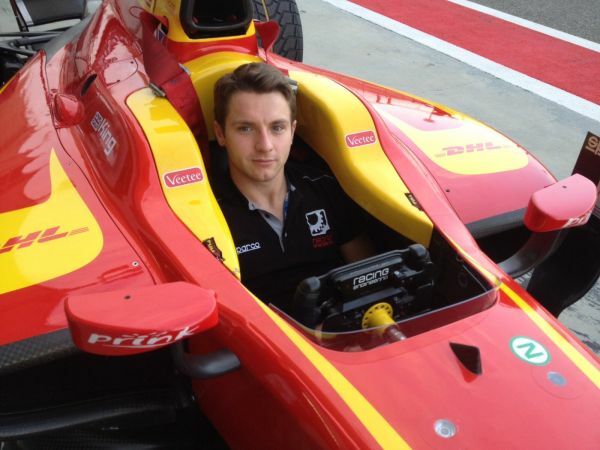 Racing Engineering are pleased to announce that the British driver Jordan King will be staying with the Spanish team for the 2016 GP2 season. Just 21 years old Jordan has already shown considerable talent in the junior formulae and following a very impressive debut season in the 2015 GP2 Series championship he will be a very strong contender in the 2016 Series. Jordan began his racing career in 2006 where he soon began winning and his successes include winning the MSA Kartmasters Grand Prix KF3 and finishing runner up in the WSK KF2 Karting Euro Masters Series. Jordan’s first experience in single seaters was in the Formula Palmer Audi Series where he competed in four races at the end of 2010 taking a podium finish. In 2011 he moved to Formula Renault 2.0 UK finishing 8th as well as taking part in six races in the FIA Formula Two Championship. 2012 saw Jordan compete in the Formula Renault 2.0 NEC series taking a win and eight other podium finishes on his way to second place in the Championship. He also raced in the New Zealand Toyota Racing Series winning at Taupo Motorsport Park finishing 5th in the final standings. In 2013 and 2014 it was Formula Three and Jordan was immediately on the pace and in his debut year he won the British Formula Three Championship with three wins and five other podium finishes. He also finished 6th and 7th in the European Championship in 2013 and 2014 respectively. 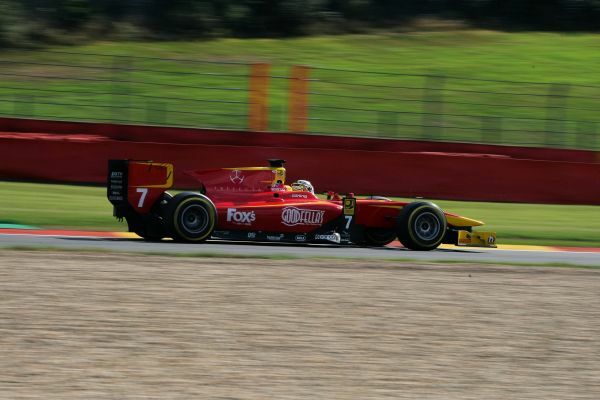 Jordan’s first taste of GP2 was in the post-season testing at Abu Dhabi in November 2014 and in 2015 he made his race debut in the GP2 Series with Racing Engineering where he quickly showed his undoubted speed and talent and he quickly gained a reputation, despite his inexperience, of being one of the best at overtaking in the field. Highlight of the year was a second place in ! the Spa Sprint Race and fourth on his debut in Bahrain, additionally a number of strong qualifying and race performances have shown Jordan will be one of the favourites for the 2016 Championship. "Firstly I finished the year on a high after just winning the FIA institute and performing well on the last couple of weekends I went into the end of year testing with Racing Engineering confident and it gave us a lot of time to run through everything we needed to. So for that reason it felt right to stay with the team as I have built up a good relationship with the guys and I think keeping continuity is worth a lot in any junior championship specially in a year in which I will be going for the Championship and I know the team will be fully behind me to make that happen and will put out all the stops to give it their best shot." "After the great results Jordan had for a rookie and the hard work he put into 2015, it is with great pleasure that I can announce that we will work again together in 2016. Jordan has the talent and the work ethic to go for the championship this season. Let's continue what we started last year and get the results we are all expecting."